For appointments and prices, please call Frances directly through the number above. Movement and exercise have always been Frances’ life. Drawing from the wealth of a twenty-year career in movement and dance combined with varied manual therapy practices, Frances’ passion is working with the human body. Her thorough experience in coaching movement, injury management & prevention and indeed bodywork in general, based on respected studies in specialised styles of fascia therapy, anatomy and yoga have complemented her knowledge as a hands-on body therapist, trainer, mover & performer. She now runs her own practice and looks after the cast of West End and various film productions. Frances constantly re-assesses & refines her treatment and teaching techniques, how to relate body, mind & spirit in a functional and intelligent way. The focal point lies on integrating all aspects of the person, life and circumstances, breaking patterns and habits, to allow efficient and long-lasting improvement through uniquely tailored approaches. Frances’ manual therapy sessions are based on deep kinesthetic myofascial release, always relating to where the cause of an injury lies, tracking movement patterns and retraining alignments as well as looking at mind-patterns by applying the tools of NLP to enable dynamic changes and effective, long-lasting improvement to happen. This encourages each session to be translated into everyday activities to promote successful healing processes. Frances’ movement coaching & momentum yoga incorporate the balanced practice of active and flowing postures, synchronizing the breath with movement to promote a strong, flexible body and a relaxed, focused mind which is unique to this kind and form of movement. Drawing from her background in its full variety her teaching is influenced by the curiosity of how to push the body while preventing injuries. Sessions maintain a strong focus on the individual’s alignment, anatomical functionality, the body’s relationship to space and gravity, and explore the most appropriate and best ways to move fluidly and without restriction. Each of her classes, groups or one-to-ones, aim to increase personal strength, both physically and internally. Frances teaches MOMENTUM YOGA on Tuesdays from 3.30pm – 5pm here at Danceworks. 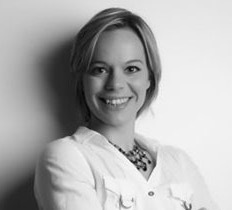 Frances specialises in working in film, theatre and sports environments. She provides physical consultancy for films and entire West End productions and her high-profile clientele include actors & sports people. She has also trained the “Bondgirl” Naomie Harris for her role in “Skyfall” & travelled with Daniel Craig on “Spectre“. Frances thrives on meeting each individual’s specific needs and working with people from all walks of life. About Frances: Frances trained as a professional dancer at Rambert Dance School in 1992, and has been performing ever since. She was employed at Berne City Theatre for over ten years, then moved back to London where she has been freelancing since 2002. She has worked with ballet, contemporary, musical & opera companies, mainly as a dancer, but also as a choreographer and rehearsal director. During her career, Frances took up teaching dynamic yoga, movement coaching and training performers as well as providing hands-on body therapy (she studied with John Gibbons at St.Mary’s college and in Oxford) before taking on extensive West End, film and private body therapy, training and coaching work which she greatly enjoys today.